Looking for the best UK discounts on Jacquart Champagne? Compare current prices, read reviews and look into the Price History for each product tick the best product. 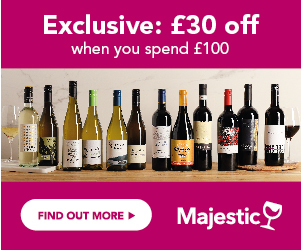 Have a look at our Deal of the Day or sign up to Price Alerts and we will send you an email once your favourite bottle goes on sale. Jacquart’s story is different from most of the other Champagne houses that are based on heritage, tradition and roots going back to the 18th or 19th century. The Champagne house of Jacquart is a baby in terms of Champagne, only just fifty years old. Today, as part of the Alliance Champagne Group, the winemakers at Jacquart have access to the largest area of vineyards in the Champagne area, with the group owning, and controlling over 7% of total vineyard area. Jacquart is very well established in the UK, having had a strong presence in supermarkets through the nineties. A change of strategy led to a refocus on independent wine merchants and the restaurant industry, and Jacquart continue to offer great value in all their styles of wine, helping continue the huge growth of Champagne in the UK over the last 20 years, and making the UK one of the top 3 export markets for the region. The Champagne heritage and tradition has always been that large houses produce Champagnes from their own estates, and from contract agreements with smaller vinegrowers and farmers, from whom they buy the fruit. It was precisely a small group of these growers, who decided, back in the early 60s, that they would no longer sell to ‘middlemen’, but would take control of their own destiny, stop simply selling grapes they grew, and build their own heritage and legacy. They launched the first release of their own Champagne in 1962. The name ‘Mosaique’, which is attributed to their Champagne brand is fitting, since it represents the patchwork of the various grower families who have developed the brand together. What started as a union of 3 visionary grape growers and small vineyard owners, has grown rapidly through the last 50 years, with the original grower families benefiting from the successful development of this Champagne house, and many new growers joining the ‘Alliance’. This has led to Jacquart controlling more vineyard area than any other Champagne producer in the region. The company has reinvested into the business, creating state of the art wineries, new vinification techniques, and purchasing new headquarters, the majestic 19th century, art nouveau Hotel de Brimont, in the heart of Reims. This is all part of the Jacquart and Alliance de Champagne strategy to position the brand, as a premium cuvee, whilst still offering exceptional value, for the quality in the bottle. Jacquart Champagne is the youngest of the main Champagne houses, and one of the most forward thinking. With access to so many vineyards, they are able to get the ongoing consistency of style, in terms of the blend, hence the name ‘mosaique’ a patchwork of winegrowers and also vineyards, which all contribute to the success of the Champagne. They have consistently won silvers in the majority of the main internationally recognised wine competitions, such as International Wine & Spirit Competition, Decanter and International Wine Challenge. World renowned wine writer and critic Oz Clarke has also named Jacquart Brut Mosaique non-vintage, as one of his top wines for 2013. Jacquart Mosaique Brut NV – a fine, firm, but very fresh, and fragrant blend of 35-40% Chardonnay, 15-20% Pinot Meunier, and up to 40% Pinot Noir, with a warm, biscuit, creamy style and flavour. Jacquart Mosaique Extra brut NV – a crisp, citrussy, refreshing blend, with a lower dosage, adding to the minerality and fresh vivacity of this Champagne, produced from a blend comprising around 40% each of Chardonnay and Pinot Noir. Jacquart Mosaique Brut Rose NV - a deliciously fruity, ripe, and fragrant Rose, with a dominance of Pinot Noir in the blend, and flavours of berry fruits. Jacquart Mosaique Blancs de blancs Vintage – a sumptuous vintage Champagne produced entirely from Chardonnay grapes, grown in the Alliance owned vineyards of the Cote des Blancs, a Champagne of great finesse, minerality and creamy elegance, produced from grapes of one vintage only.